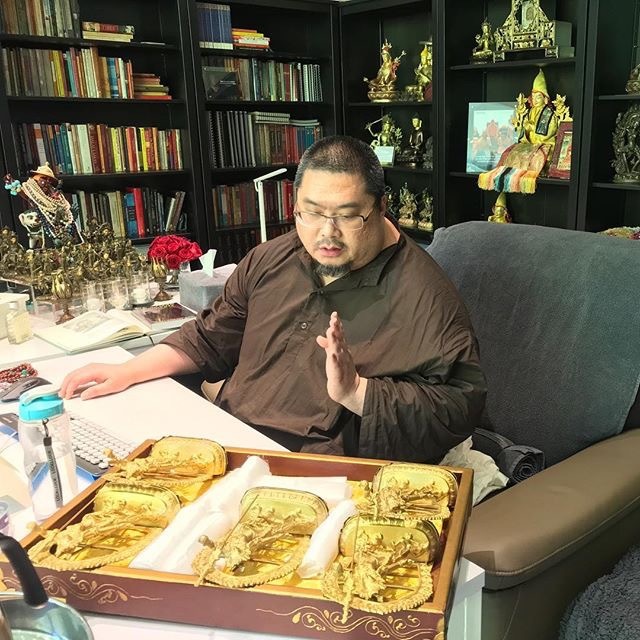 Tsem Rinpoche blessing gifts for our visiting monks. For the past two months, we have had monks from Phelgyeling Monastery in Nepal visiting and staying with us. On the day they performed a Vajra Yogini ruchok and daju (self-generation), Rinpoche offered them a Vajra Yogini statue each. Auspiciously, these statues had just arrived in the Ladrang the previous day, spontaneously and unplanned, and in the exact quantity needed to offer to the monks.